B-47E Stratojet bomber on display at McConnell AFB in Wichita, Kansas. When this photo was taken, the Stratojet was not on public display, and it was located in a restricted area of the base. 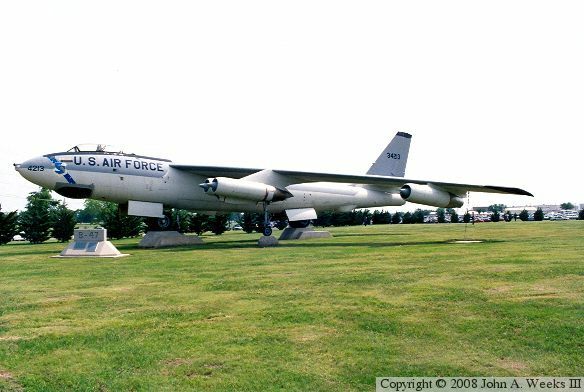 The B-47 has since been repainted and moved to an air park on the east side of the base.